BBM for iPhone will be released in a few days, after delays due to a number of bugs in the first version. The launch of the iOS version of BlackBerry Messenger should be done in a few days, at the latest within two weeks. You can download BBM for iPhone from Apple App Store. Here is the official presentation of the BBM for iPhone : "BBM offers users a private social network for dynamic and real time conversations". Immediate. BBM is always "on" mode in order to allow people to always be connected. The messages on BBM are usually sent to and read in seconds and this makes it the messaging system more akin to a live conversation. Reliable. BBM informs users when messages arrive at their destination and are read. The conversations on BBM take place on a private network with high reliability. Always under control. BBM allows you to select contacts and define how they share information. BBM uses a PIN which avoids having to share the phone number or email address. 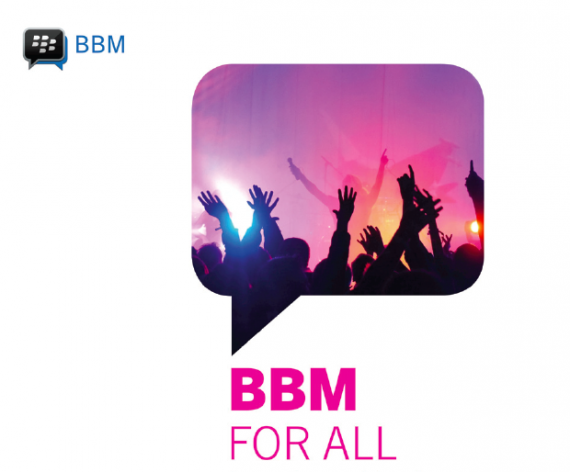 "BBM is a messaging service engaging and simple to use, easy to customize and with the immediacy that is needed for mobile communication, "said Andrew Bocking, executive vice president of BBM BlackBerry. "With over a billion smartphone Android, iOS, and BlackBerry on the market, and in the absence of a platform for mobile messaging prevalent, this is the right time to bring BBM to Android and iPhone users"
BBM Chat - Users will appreciate the pleasure of a real conversation, with their immediate friends who have Android smartphones, iPhone and BlackBerry. BBM not only informs users when messages arrive at their destination and are read but also when the parties respond to the message. More than a chat - With BBM you can share files on your smartphone such as photos and voice messages : everything in an instant. Friends are always just a chat - The multiple chats are the best way to engage your contacts in the conversation. The BBM Groups feature allows you to invite up to 30 friends in conversation and also offers the opportunity to share photos and events. With Broadcast Message, you can also send a message to all your contacts at the same time. A unique PIN - Each user has a BBM PIN to protect your privacy so you do not have to share the phone number or email with new contacts or random.